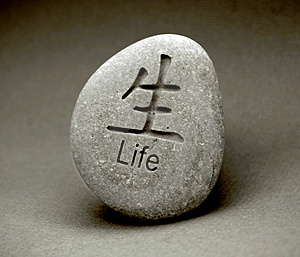 So simply put, living is about finding ways internally to deal with our external circumstances. But how many of us aren’t really living, but merely surviving? Do you find yourself waiting for things to change to make your life better – your partner, the economy, your job? Or do you make things change by first deciding to, then taking action to make it happen? I’m certainly guilty of waiting around for things to turn to my favour. I used to do that a lot – it didn’t get me anywhere. To be honest I still do it to some degree now, until I catch myself doing it and decide to grab life by the scruff of the neck and do something different. What I do isn’t as important as my intention to make a change. As long as I’m doing ‘something‘ to make a positive difference to my life. Sometimes I make a mistake. Sometimes what I do can make things worse for a while. But I know with enough positive intention eventually I’ll make changes in my life that actually make my life more rewarding. So if you’re waiting for something BIG to happen in your life, STOP. Get your thinking cap on and figure out just one thing that you can do to get the ball moving in a different direction.